concept A constant, unbalanced force acting on any movable object produces a constant acceleration in the direction of the force. A certain amount of unbalanced force will result in a specific acceleration of an object in the direction of the force. (Force and acceleration are directly proportional. purpose Students investigate how a constant force yields constant acceleration. 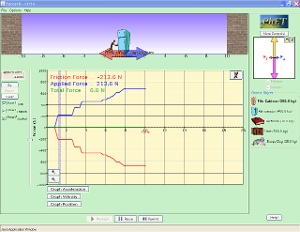 They also collect data to construct and interpret a graph of force vs. acceleration. concept When one object moves over another, a retarding force called friction acts opposite to the direction of motion. 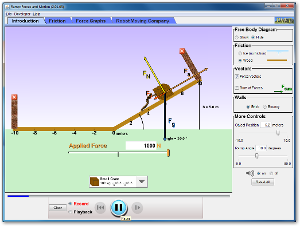 Both surface types, the force pressing the surfaces together, and whether the objects are in motion or not each affect friction between solids. purpose Students pull blocks with various surfaces across various surfaces to identify the primary factors affecting friction. the friction might not be equal in every position. the applied force(ex. force to puch the block) might not be constant. 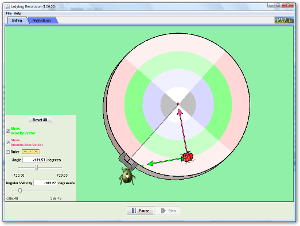 purpose Students observe the trajectory of a circling puck released on an air table, analyzing its behavior. 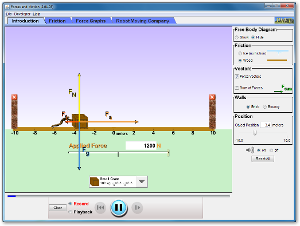 They analyze the forces acting when they twirl a stopper using a tube device. student might not get to rotate the object in equal radius, or in equal period. measuring period using stopwatch has some personal error. concept The momentum of an object is the product of its mass and velocity. The momentum of an isolated and closed system (no external force) is conserved. 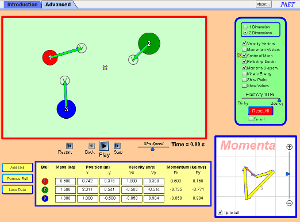 purpose Students collect data for elastic or inelastic collisions that leads to the law of conservation of momentum. in a real-life experiment, designing totally elastic collosion is almost impossible, since it is very hard to remove the system from external force. the exact vector(including direction and magnitude) is hard to measure accurately. purpose Students measure "g" using the period (T) of a pendulum. measuring period with stopwatch might have some personal error.to make it more accurate, students will have to measure the "reaction time". 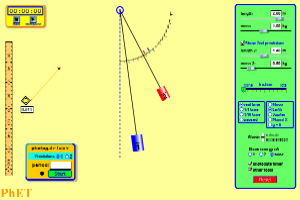 the pendulum might not move in perfect harmonic motion.